Microsoft and Tesco have announced a collaboration to launch what they are calling "the next generation of home video viewing". Built on Microsoft's Silverlight technology, Tesco is offering a new kind of digital download with selected DVDs, which enhance the movie with all-new online features. Once purchased, you will have to download the digital copy on to your computer, where you will be given access to the new content. 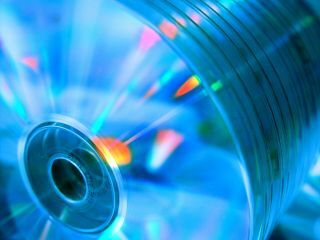 Sounding similar to the BD-Live service offered on certain Blu-rays, the "virtual DVD" experience will offer "auto-updated trailers, exclusive bonus content, movie viewing parties with online chat, related music offerings such as MP3s and ring tones, and networked games." Speaking about the new interactive digital copy, Rob Salter, Category Director for Entertainment at Tesco, said: "For the first time, consumers will be able to enjoy a DVD equivalent experience with digital movies, which paves the way for more advanced viewing experiences enabled through Silverlight. "This is just the beginning. In the future we expect to offer our customers innovative digital solutions that far exceed the DVD experience and deliver exclusive content, Web events and services wherever and whenever they want them." Microsoft is also excited about the new project, with Gabriele Di Piazza, Senior Director for the Media & Entertainment Business in the Communications Sector at Microsoft, adding: "We believe this alliance will offer consumers in the UK, and eventually additional markets, the opportunity to download a digital copy that is truly the equivalent of a physical disc – with the same package of navigation, bonus features and director commentaries."